Ask fellow campers about "Downata Hot Springs RV Park" and nearby attractions. First stay. Very nice swimming and soaking pools. We were put in an all dirt camp spot and there were plenty of open spots in the grassy area. Would stay again but would be picky about the site. We camped at Downata Hot Springs RV Park in a Fifth Wheel. We stayed here because it was Passport America, but I feel like when you tell them PA they put you in the electric only section. We told them we had a 40' 5th wheel and were assigned site 40, which was impossible to get into because of the tight turn and huge trees. We went into the next site, 41 which also had trees but a little further apart. I went to the office and told them what we had done, and they said since it was only one night it was OK, then they also refunded the difference between the 50 amp and 30 amp we ended up with. The biggest complaint is the low hanging trees. Our antenna got hung up on a low branch necessitating a trip to the roof. The wifi did not work for us, kept saying wrong password which it was not, then when we would connect, it would say no internet. We were able to barely get 3 over-the-air channels on TV and they kept coming in and out. No dump station or sewer at this park, but apparently there are dump areas in town. It's was quiet at night even though a lot of people brought their ATVs and horses. We did not use their hot springs pool because of the $7.50 per person discounted price and too many people in it. There are tons of signs around, all with small print, and you have to go to the office, then drive down the road to the campground and hold your paperwork up to a camera to be buzzed into the campground. We would probably not stay here again, but mainly due to the size of our RV. We camped at Downata Hot Springs RV Park in a Fifth Wheel. I stayed here mid-week, and the place was nearly vacant. As such, it was a fabulous place for peace and quiet, both in the campground and at the pools. The campground is old but pretty and well maintained, except for some tall weeds at the site. The utilities were in very good condition. Wifi was good. The customer service, when available, was great, but the place was not really fully staffed, and it was hard to get a hold of someone to make a reservation. With all that said, it would be a completely different place when full. The campsites are very tight, and it does not look like peace and quiet would be on the menu when this place is full. 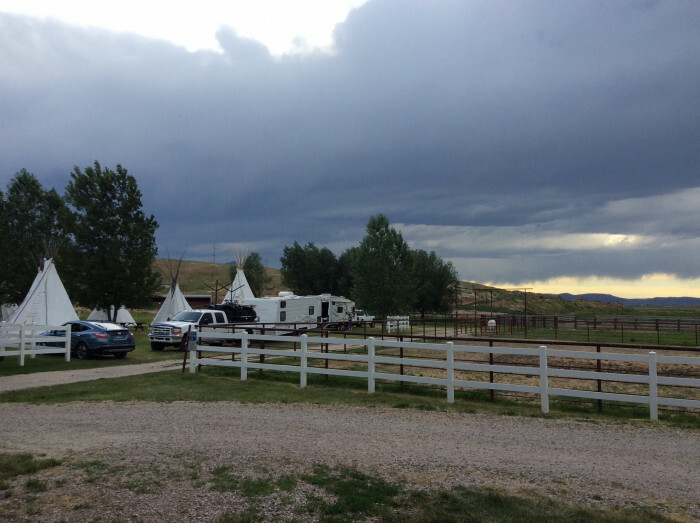 We camped at Downata Hot Springs RV Park in a Motorhome. Stayed there in the winter, gave us are pick of campsites. Picked one with the shortest walk to the Hot pools. We were the only ones in our section. We camped at Downata Hot Springs RV Park in a Motorhome. The RV sites are quite tight for large rigs. We could not make the turn into the "pull through" site without unhooking. It took some jockeying to get tree branch clearance for the slides. I was surprised that we were able to get level because the site certainly didn't look it. Over watering created muddy places on the roads. Sites are quite close together, luckily no one came in on our curb side. Many families with small kids, lots of hubbub. Several family groups, especially in the tent area. Good dog walking, but no fenced area. Great showers in the newer building. The hot springs complex is great. It is not included in the camping rate but isn't too expensive. We camped at Downata Hot Springs RV Park in a Motorhome. The hot springs pools are quite hot, not suitable for kids. There is a large warm pool with slides and other activities that was filled with kids having a great time. We didn't try the restaurant but were told by other guests that it was good. Not far from I-15, nice grassy park. Did not use hot pools due to thunderstorm, but facility looked very clean and cared for. We camped at Downata Hot Springs RV Park in a Motorhome. Rate reflects Passport America. The campground is very quiet and peaceful this time of the year. We were the only one there during the weekdays. The restroom next to our site has bugs which why I rated it so. The campground is family friendly. There is a pool although it is more like a water park and not included in the price of camping. But it is not expensive to get and it is well worth it. The water park has slides, hot tub, sauna etc. The water is naturally heated so it is really nice. The downside to this place is it does not have sewer, but there is a dump station in Downey. We camped at Downata Hot Springs RV Park in a Motorhome. I was disappointed in the camping...It was made long ago for short RVs and the camp sites are right on top of each other. Had to go to Downey and look for an RV dump as they didn't have one close to the campground. There are limited campsites that have fire rings...that is good because the sites that do are way too close to everyone else, smoke was bad. If you have a tent you want to set up with your RV you are limited to a few camp spots and even then you get charged for the tent! If you are going to swim the pool is nice, small but nice. The slides are great; the hot-tub was not. This would be an ideal place for a one day reunion they do have very nice shelters and places to play games. There staff was very courteous and helpful. 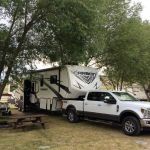 We camped at Downata Hot Springs RV Park in a Fifth Wheel. The park is okay. The biggest problem they have is mice! We were here in late July and once my trailer was set up, it was only a matter of minutes before mice were coming out of their holes in the ground all around our campsite! I am sure the other sites were the same. The pool was nice and so were the water slides. We would not stay here again and we would not recommend this park to anyone. There was 2 sets of washrooms. One was not acceptable in anyway and the other was a newer portable unit and it was clean and okay. 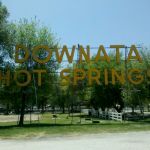 We camped at Downata Hot Springs RV Park in a Travel Trailer. We had a blast here. The pool and slides are great! Price for them is excellent. Twilight swim the best. Friendly staff. No problem using Passport America. WiFi was excellent. Quiet during the week but full of family reunions on weekends. Sites are small in length and close together so minus 1 for that. Fairly level. They do have one very long pull-through site for a big rig, and one might fit a big rig over in spaces 49-50 without water. No sewer hookups but there's a dump nearby in town. Looking forward to going back again and again. 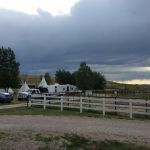 We camped at Downata Hot Springs RV Park in a Travel Trailer. Perfect for our overnight stop. Most facilities were closed this time of year. We had a nice view from our site and had only one other rig in the park. We would stay here again. Nightly fee is Passport America rate. 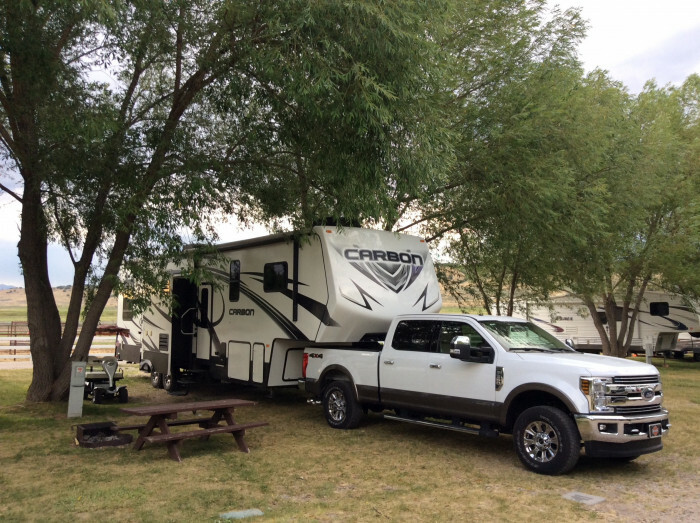 We camped at Downata Hot Springs RV Park in a Fifth Wheel. Are you affiliated with Downata Hot Springs RV Park ?